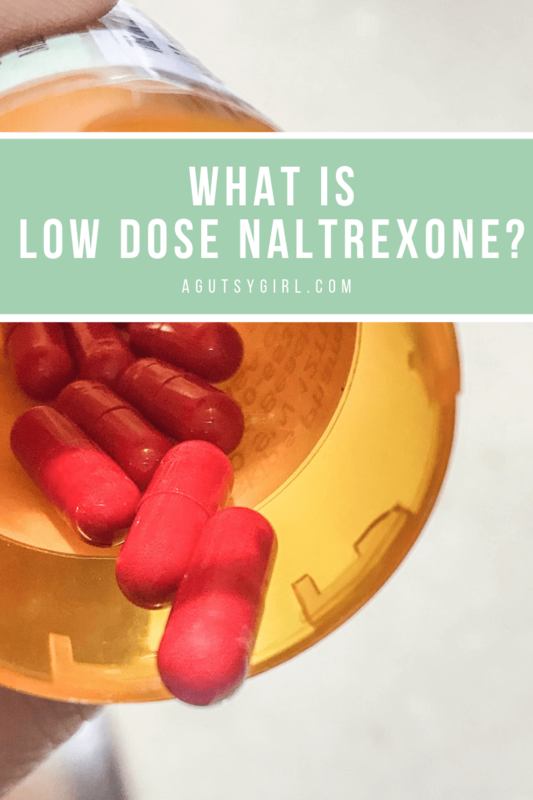 First, for those who take and prescribe Low Dose Naltrexone, it is typically abbreviated to LDN so I’ll use that for the rest of this post. LDN is a lower dose of Naltrexone (clever, right? Low Dose Naltrexone). Naltrexone was synthesized in 1963 as an orally active competitive opioid receptor antagonist. What does that mean? It blocks opioid receptors in your brain. (Opioid = a compound resembling opium in addictive properties or physiological effects.) Thus, Naltrexone HCl was approved by FDA in 1984 for the treatment of opioid addiction. The typical daily dosage for opioid addiction is 50.0–100.0 mg daily, and 50.0-mg tablets are available commercially. How that helps you if you’re taking LDN for an autoimmune condition is because endorphins play a role in immune system modulation. Autoimmune patients (and cancer patients) typically have lower levels of endorphins than people without autoimmunity (or cancer). The small pill is taken at night before bed, 9pm is optimal, as that allows for the medication to reach peak effectiveness at 4am, right when your endorphin levels should be highest. Low Dose Naltrexone has proven to have minimal (if any) side effects, but like any other pill (or even supplement for that matter) you take, side effects are possible. 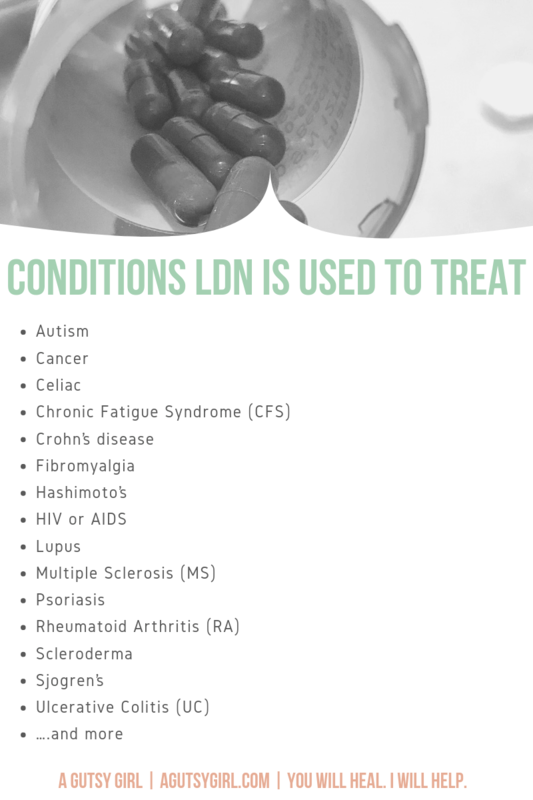 I was first prescribed LDN in 2014/2015 to help with the autoimmune condition I was diagnosed with in 2008, Colitis. I continue to take it today, even after my last Colonoscopy and Endoscopy results this past summer (2018) because LDN also acts as a prokinetic. Thus, I continue taking LDN to this day to help keep the SIBO gone. And in my personal experiences, LDN has been wonderful. Lately, I have been mildly experiencing most of the symptoms as noted above. That said, the pros have far outweighed the cons. 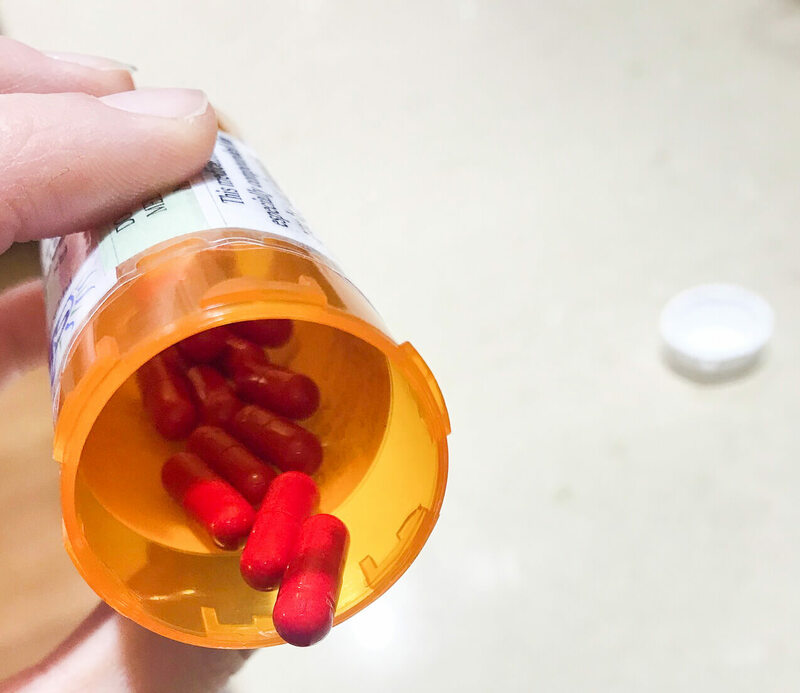 Once I started taking it, everything seemingly got better (for the drug’s intended purpose). Most Western doctors will not prescribe it, but can and if you go about it the right way (read: Beginner’s Guide to Digestive Health Testing), you might be pleasantly surprised. You can learn more directly from the Low Dose Naltrexone website. Consider also grabbing, The LDN Book. Questions? Let me know in the comments. Also, have you taken LDN / do you take it? I’ve been following your blog and IG for some time and I really dig what you stand for and the way you present information. I wanted to say THANK YOU for doing a blog post on LDN. I have fibromyalgia and SIBO and take LDN and it has helped tremendously! Funny enough, I also work at a compounding pharmacy in Oregon! When explaining to people what LDN is and how it works, it is easy to sound like an infomercial, “it helps fix everything!” However, I think you did an awesome job and just wanted to give you a shout out for that! Thanks for being a great voice in the gut health world! I am taking this for anxiety and depression. I’m at 1.5 right now but havent seen much results but no side effects either. Hoping it helps.